Paige is nine years old and is from Thornlands in Brisbane. Paige has a diagnosis of Hereditary Spastic Paraparesis and attends St Rita’s Primary School five days a week. She can walk with the aid of a walking frame for short distances but relies on her manual wheelchair for longer distance mobility. 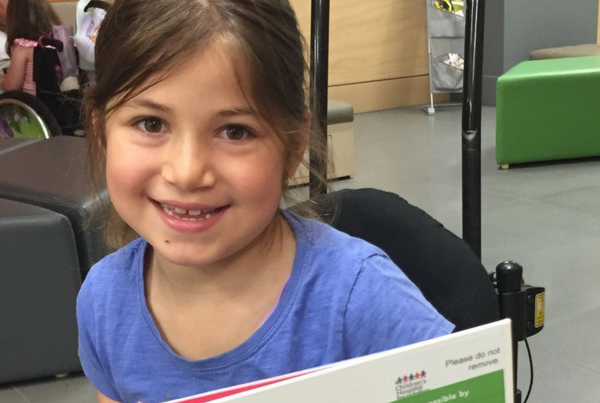 Paige’s family, through her physiotherapist and social worker, applied to the John MacLean Foundation so they could purchase an alternative seat which Paige could use at home. The Leckey Everyday Activity Seat would give Paige somewhere to sit comfortably and at different height levels so she could join the family at mealtimes and also be able to sit more easily at a computer. The $6285 seat has growth adjustments so will last Paige for a few years to come. It was supplied with a special chassis, armrests, footplate and hip belt and brings Paige another step closer to integrating more fully with her family and achieving her needs.